SAN FRANCISCO -- Verizon is buying Yahoo for $4.83 billion, marking the end of an era for a company that once defined the internet. It is the second time in as many years that Verizon has snapped up the remnants of a fallen internet star as it broadens its digital reach. The nation's largest wireless carrier paid $4.4 billion for AOL last year. Yahoo will be rolled into Verizon's AOL operations and CEO Marissa Meyers could be working again with AOL CEO Tim Armstrong, who worked with Mayer at Google for years and tried unsuccessfully to convince her to combine the two companies when they both remained independent. Though many expected the sale of Yahoo to spell the end of Mayer's reign, a Tumblr post from Mayer moments after the deal was announced read, "For me personally, I'm planning to stay. I love Yahoo, and I believe in all of you. It's important to me to see Yahoo into its next chapter. Yahoo Inc., Sunnyvale, California, is parting with its email service and still-popular websites devoted to news, finance and sports in addition to its advertising tools under pressure from shareholders fed up with a steep downturn in the company's revenue during the past eight years. The slump has been deepening even though advertisers have been pouring more money into what is now a $160 billion market for digital advertising, according to research firm eMarketer. Most of the money has been flowing to internet search leader Google and internet social networking leader Facebook, two companies that eclipsed Yahoo during its slide from an online sensation, once valued at $130 billion, to a dysfunctional also ran. The transaction does not include Yahoo's cash, shares in Alibaba Group Holdings, its shares in Yahoo Japan, its non-core patents. After the sale is completed, Yahoo Inc. will become a holding company for its two stakes in China's e-commerce leader, Alibaba Group, and Yahoo Japan. Those investments, made more than a decade ago, have been the most valuable pieces of Yahoo throughout Mayer's tenure. Yahoo will change its name at closing and become a publicly traded investment company. Yahoo has hired a succession of CEOs to engineer a comeback, but finally gave up after the high hopes that accompanied Mayer's hiring fizzled out. The sale potentially could result in thousands of layoffs. Mayer has already jettisoned 1,900 Yahoo workers since last September. As people began to flock to the internet with the advent of graphical web browsers in the 1990s, Yahoo was king. After co-founders Jerry Yang and David Filo began building a web directory as Stanford University computer graduate students in 1994, Yahoo quickly established itself as the online hub for tens of millions of people. It also proved internet companies could be profitable as other dot-com startups burned through millions of dollars. But Yahoo strayed from internet search in an attempt to build a multimedia business, opening the door for Google become a powerhouse. It didn't recognize the importance of social networking and was slow to make the leap into mobile devices like smartphones and tablets. Instead, Yahoo tried to buy Google and Facebook in those companies' formative years, but it was rebuffed and then dwarfed by them. Despite Yahoo's decline, its operations are attractive to Verizon as the nation's largest wireless carrier tries to capitalize on the growing number of people living their digital lives on smartphones. Verizon already profits from the data plans that connect those devices to the internet; with AOL and Yahoo's services, Verizon is now looking to control more of the advertising on phones, rather than surrendering control to Google and Facebook. If Verizon fully owned Yahoo right now, it would generate about $3.6 billion in U.S. ad revenue this year to eclipse Microsoft for third place in the market, based on eMarketer's estimates. It would still be far behind in ad revenue, compared with Google's projected $27 billion, and Facebook's projected $10 billion. AOL is best known for the dial-up internet it popularized in the '90s and owns popular media sites like Huffington Post and TechCrunch, but Verizon primarily wanted its ad technology. 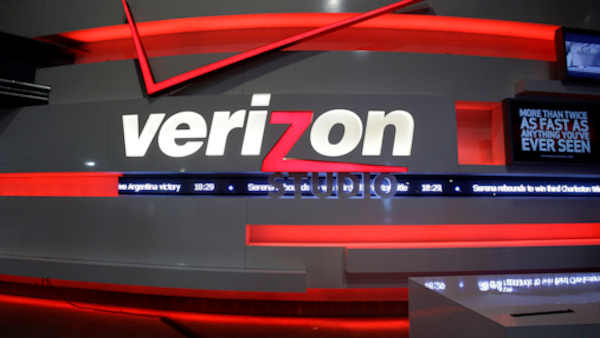 While Verizon also wants Yahoo's ad services, it is also prizes the hordes that still regularly visit to pick up their email, check the weather and catch up on current events, celebrity gossip and the stock market. Yahoo says it has more than 1 billion users, though Outsell analyst Randy Giusto believes only about 200 million are habitual visitors. "It's the eyeballs that generate the advertising, you have to get to that viewership to get the advertisers to advertise, and that's the model that we have to follow," said Verizon CFO Francis Shammo at an investment conference in May in response to a question about Yahoo's appeal. Given Verizon already owns AOL, Giusto says Verizon is probably the best fit for Yahoo instead of the other suitors, which also included private equity firms that specialize in buying distressed companies and trying to rehabilitate them. The deal is expected to close in 2017's first quarter. It still needs approval from Yahoo shareholders. Yahoo's stock rose slightly in premarket trading, while shares of Verizon dipped slightly.